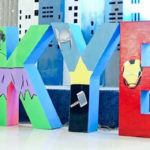 Soaring for superheroes? 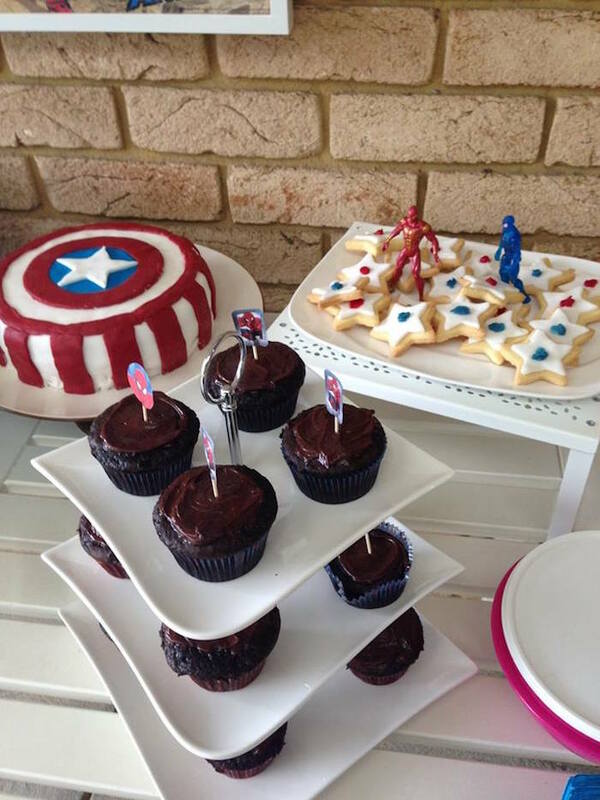 Fly on over this Classic Superhero Birthday Party by EmmaCraven of My Little Party, out of Perth/WA/Australia! 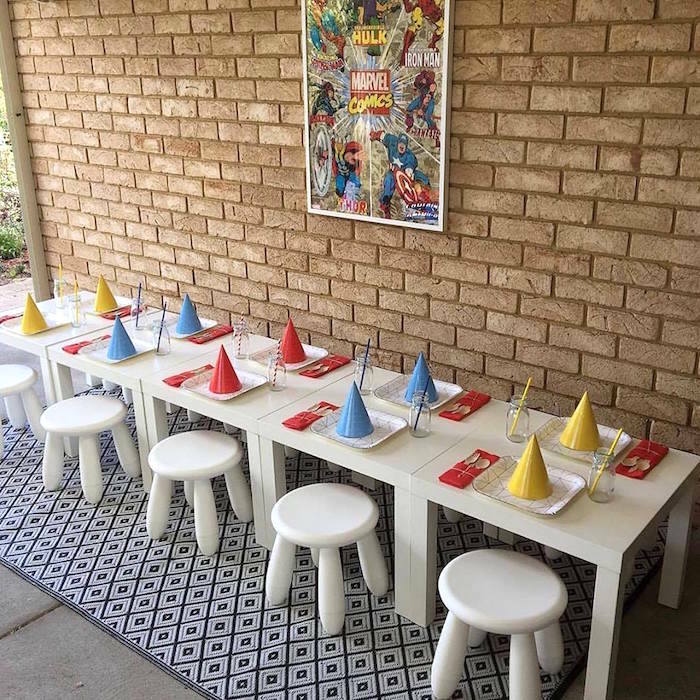 Filled with classic colors and retro fun, this birthday bash is a cute one! 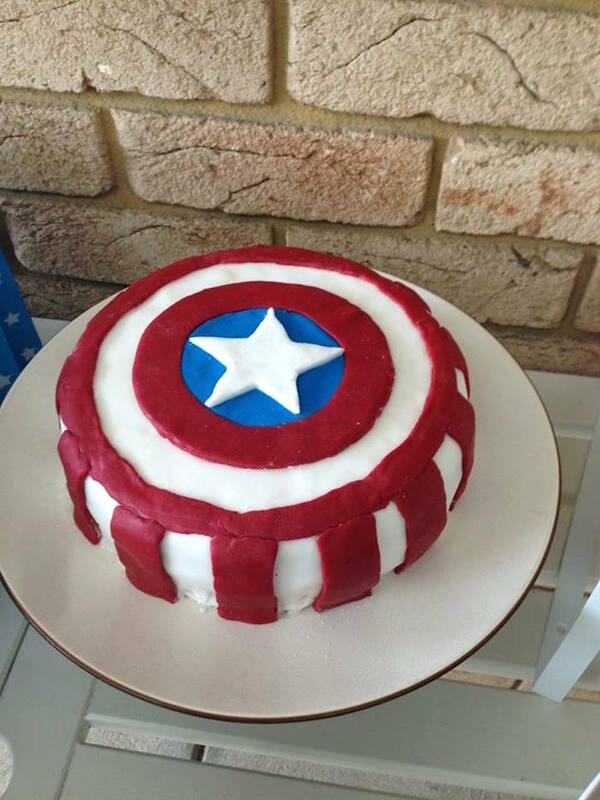 “We were delighted that so many of Jacks little friends could come along and join in the superhero fun at his fifth birthday party! 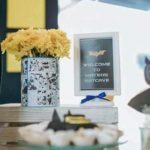 From the fabulous superhero themed desserts and sweets to the creative games and activities this party was adored by all the little caped crusaders! Pop! KaPow! Thwack! 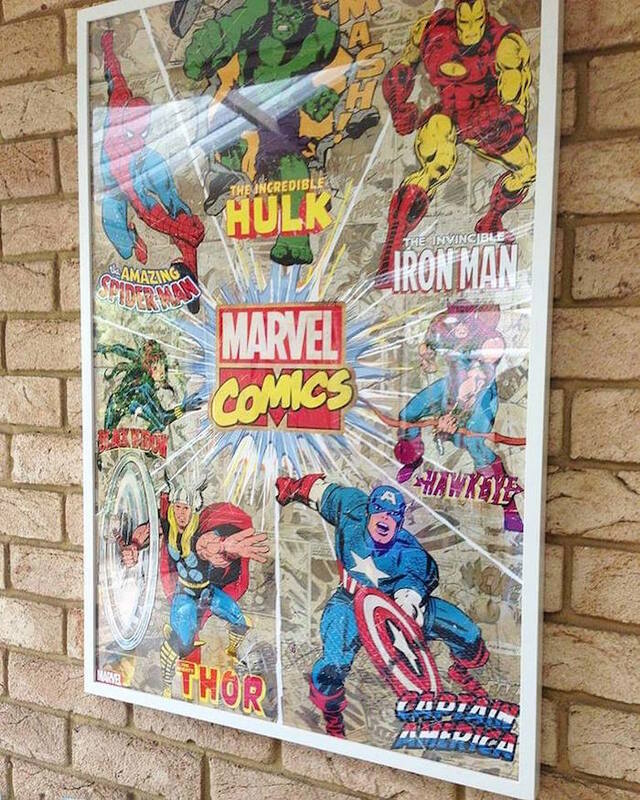 Which is your favourite superhero Jack? 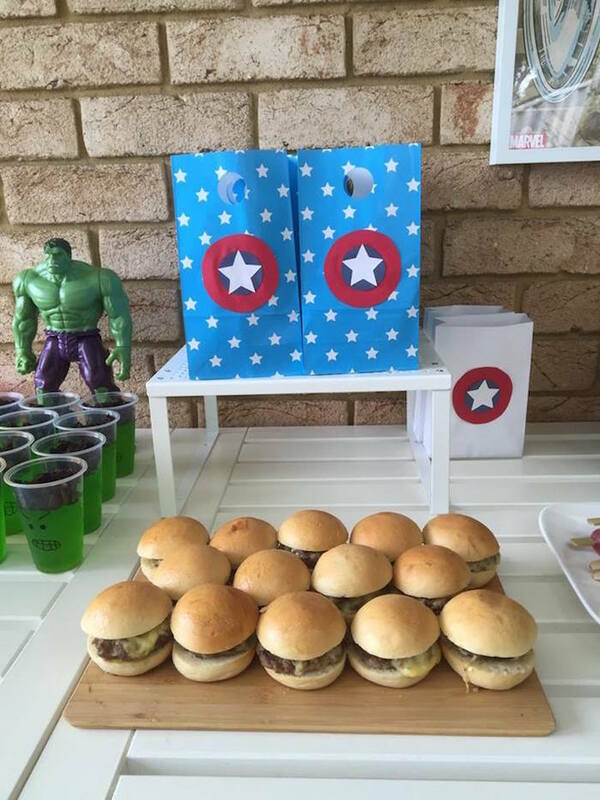 Much like many little boys, Jack couldnt quite decide which one was his favourite, so we featured all of them at his superhero-inspired party! What a fun party theme! 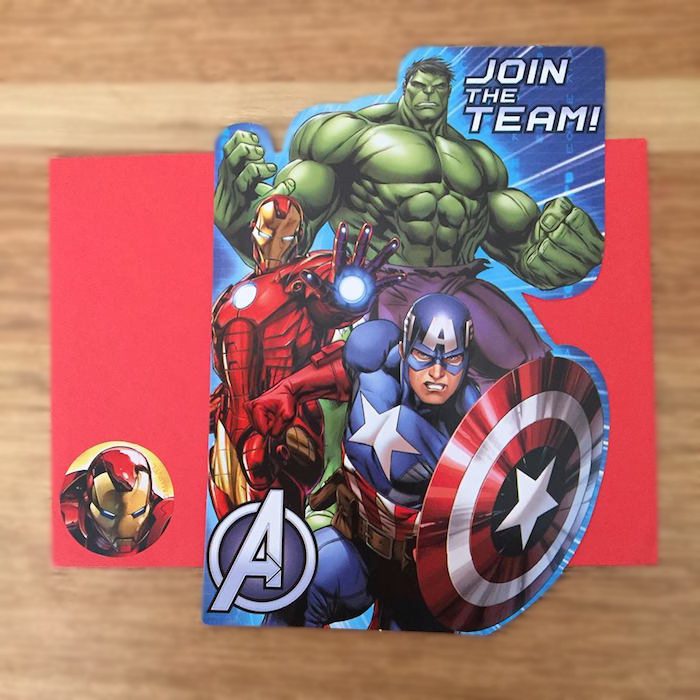 We made sure the invitation was bold, bright, and it communicated the superhero theme. We were thrilled that all the little party guests came dressed as a superhero ready for action! 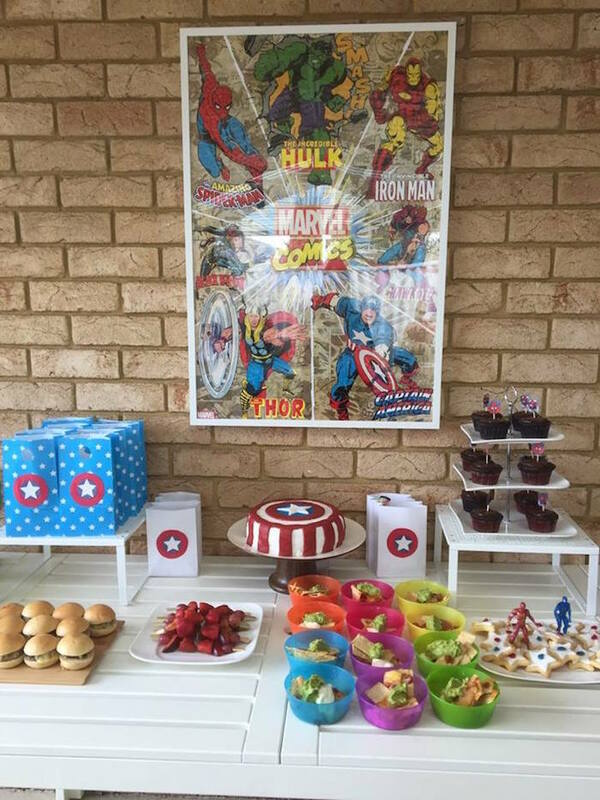 We used a classic red, blue and yellow colour scheme and styled the food table with a vibrant picture featuring numerous superheroes as the backdrop, figurines, personalised lollies, fruit skewers, jellies, cupcakes, and cookies. Also, we were thrilled with the party concept, and had so much fun decorating! We tapped into our inner superhero and got creative! From colours and strengths, to trademark sayings and sidekicks, theyre all fair game when it comes to decorations. What fun is a party without any games or activities? 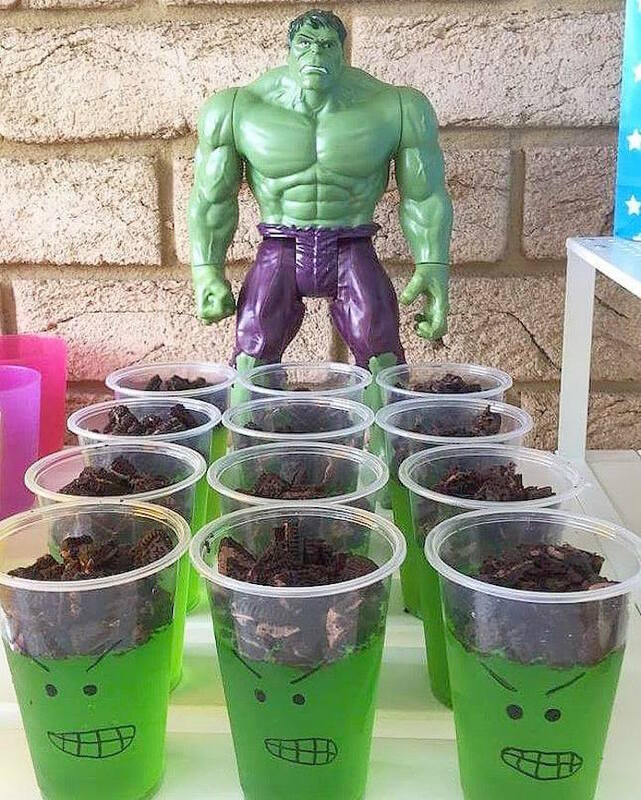 I am a big fan of good ol fashioned games, I put a superhero spin on each game which made the party shine. Whilst we waited for the little superheroes to arrive we played super, super, hero  an adaption of duck, duck, goose. Once everyone had arrived we invited them to sit at an activity table we had setup for all the little superheroes to create their very own superhero mask and cuffs. 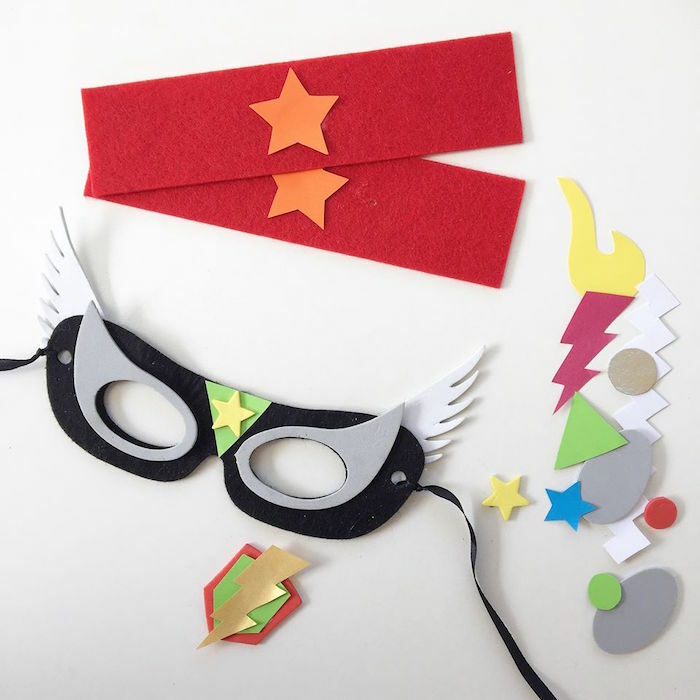 Similar to pin the tail on the donkey, we created a superhero version where the little party guests were blindfolded and tried to pin Batmans shield on him. 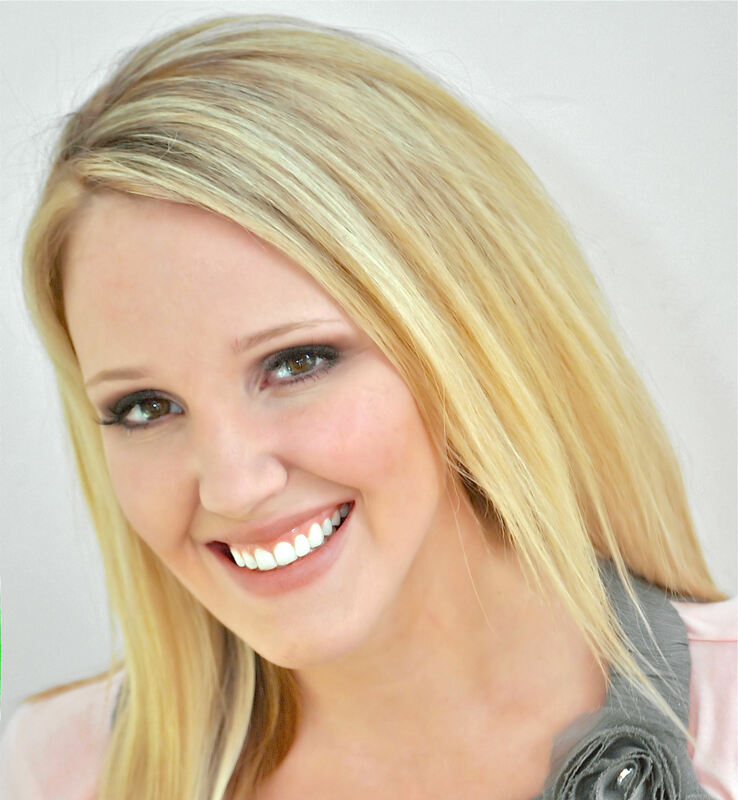 We really enjoy creating a party gift that coordinates with the theme of the event. 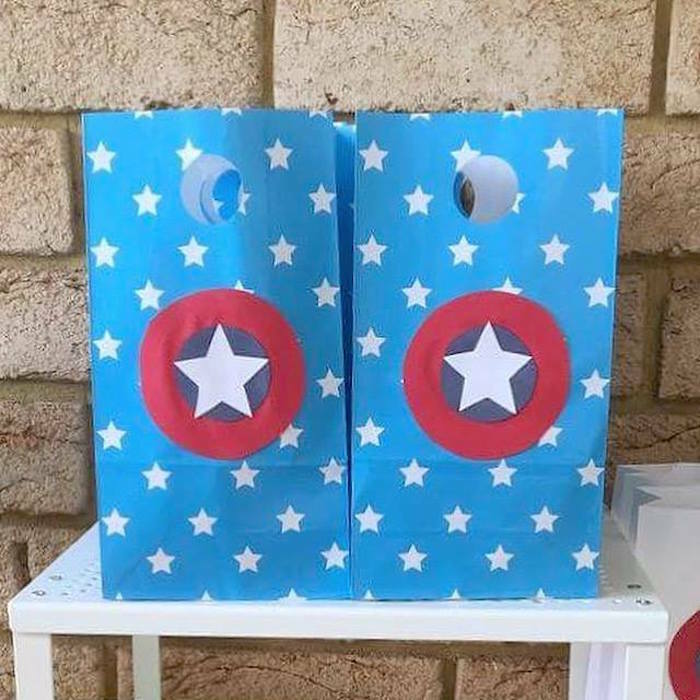 On this occasion we created a Captain America-inspired bag and filled them with chocolates, stickers and sweets. 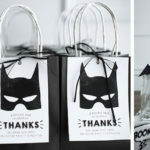 The little party guests also took home with them their newly-created superhero mask and cuffs. 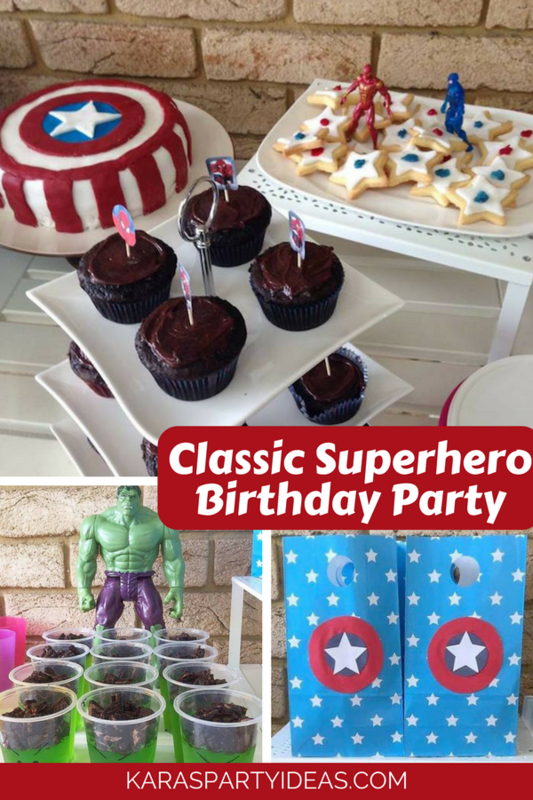 Superhero caliber parties heading your way!